Sometimes you’ll read a book and enjoy it, and then weeks or months later it will begin to creep up on you, and you’ll slowly come to the conclusion that it was actually a fantastic book and that it’s one that will stay with you for many years, maybe forever. 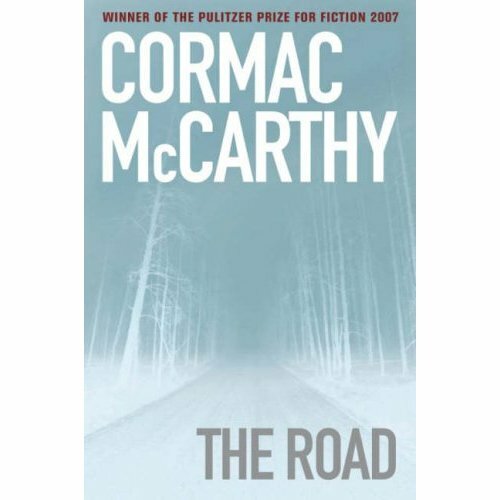 ‘The Road’ by Cormac McCarthy is not that type of book. You know right from the start. It is, without doubt, one of the most harrowing, brilliantly realised novels that I’ve ever read, filled with gorgeous poetic prose, haunting imagery, and heartbreaking dialogue. The Road tells the story of an unnamed man and his son, travelling a wasteland that may be America, in the aftermath of an apocalypse. Humanity has become almost feral, certainly cannibal, and the two travellers exist in a surreal pocket of normality. The novel has many constrasting themes, but the thread throughout the bleak story is the relationship between the father and son, and the purity of their love.